Oven spring for high percentage rye bread? Submitted by kalikan on April 12, 2015 – 11:22am. How much of an oven spring can be expected for high percentage rye breads? Is it the case of not much gluten in dough, not much oven spring? 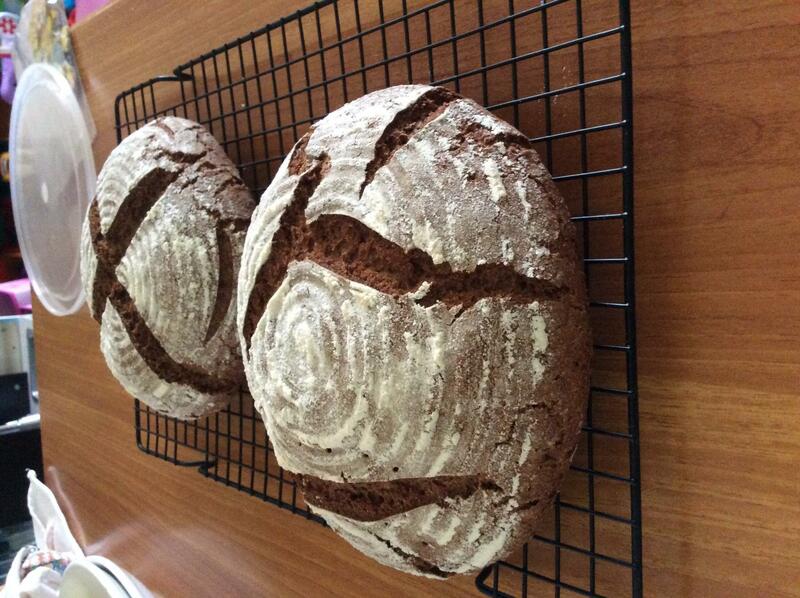 Just finished baking 2 loafs of Hamelman’s 90% rye sourdough and there was very little in terms of oven spring. I did slightly modified the recipe – used dark rye flour (recipe called for medium) and KA bread flour (instead of high gluten) to build final dough – neither of the suggested flours were available locally unfortunately. final proof was around 1 hour 20minutes, which is around 20min longer then suggested in the book – I just wanted to make sure I get oven hot enough for the bake. I did not try the poke test as I figured it won’t work for this dough and also while I think there was some increase in volume during final proof, dough definitely did not doubled. Did I overproof? Or did I score bread too much? Or something else? « Over proofing. Is this what it looks like, and why?